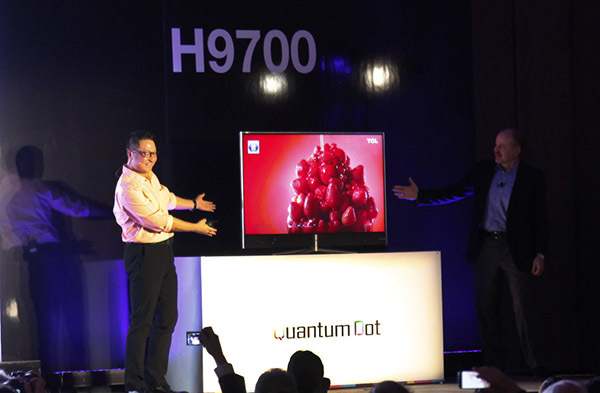 TCL’s new H9700 TV was the highlight of their press conference. It utilizes what they call ‘Quantum dot’ technology. Which provides 110% of the NTSC color gamut, giving it possibly the best colors on the market. They say that the pixels are 2 to 10 nanometers big, making them actually impossible to see with the human eye. Quantum Dot TV: Quantum Dots (QD) TVs use light-­‐emitting nanoparticles to create a sharper, brighter image with richer, more vibrant colors (NTSC 110%). 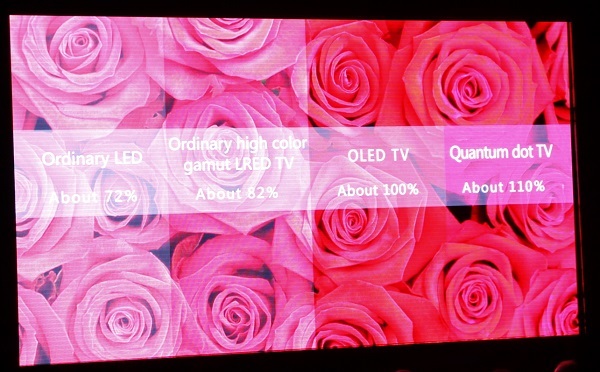 The TCL 55” QD TV applies this technology to create a picture with amazing color fidelity. Eventually they will have 15 models utilizing Quantum Dot technology. But what blew me away with this TV wasn’t actually the colors or UHD resolution, it was the speakers. 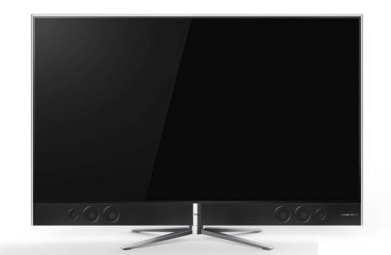 TCL has partered up with Haman Kardon Acustics to create an unrivaled built in TV sound. And well, heck, they succeeded. This was in a rather large hall. They turned up the volume on the TV to 100% and started playing music. I was in the very back, and not only was it very clear with an incredible dynamic range. I could actually feel the bass, just from the built in TV speakers. Something I’ve never experienced before.